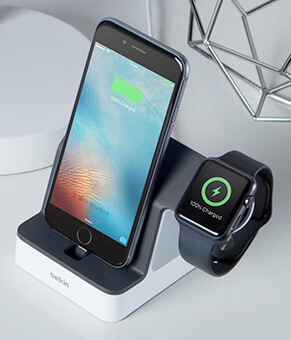 PowerHouse™ Charge Dock for Apple Watch + iPhone is rated 3.9 out of 5 by 87. 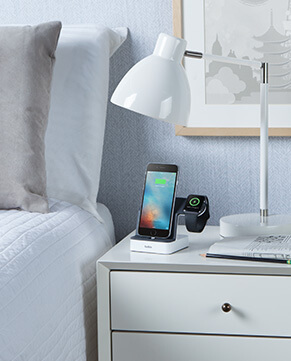 PowerHouse™ Charge Dock for Apple Watch + iPhone named a CES 2017 Best of Innovation Awards Honoree. Rated 5 out of 5 by Tapotor from The absolutely coolest and most functional Dock! The Powerhouse charging dock looks like something you would see in a Science Fiction movie ! I charge my phone and my apple watch with this Dock at the same time. It definitely looks very cool on my bedside table. I have reduced the clutter as well with this awesome charging dock. 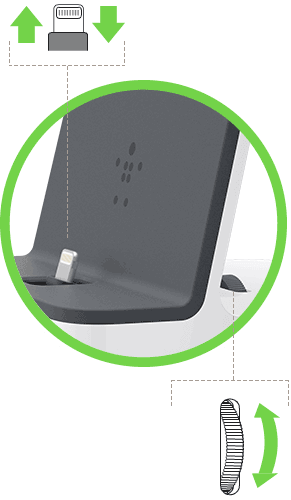 I think the two most important features of this charging dock are the weight and the adjustable charging port . Don’t worry about knocking this over at night when you reach for your phone. It is heavy enough (and slip resistant) to not get pushed around or off your bedside table. The best feature is the adjustable charging port for your phone . You can raise and lower the lightning charger to your desired height no matter how big or small your phone case is! Plus the charging port has flexibility so any phone case will fit no matter how wide or tall! I’m definitely going to buy another one of these for my office! Rated 4 out of 5 by Jeroen from Solid product, though bummed by the power adapter The product works well and is very solidly bit apart from the flimsy power adapter they ship with it. 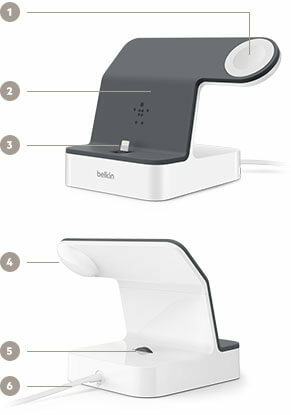 I didn't find much information about the power adapter Belkin would provide and it turns out my fears were warranted. It's a cheap cable with replaceable plug for UK/Europe power sockets. I had hoped they'd make it so that the cable is actually just a regular USB-to-lightning (or USB-C) cable so that instead of plugging in the Lightning cable into your phone it'd go into the back of the PowerHouse and relay the power to phone and watch. This would then let us use any standard USB power adapter, but no... Belkin shipped its own cheap thing instead of standardising on power provided over a USB cable to charge gadgets with. The product would've looked nicer and more solid too with just a Lightning or USB-C connection at the back. Especially if it'd use a power-plug the size of Apple's instead of the big thing they have now. If it had had USB or Lightning you could also connect it to a Mac or display to charge on your desk. Now it needs its own separate power socket. The quality is OK but I'd rather see USB or Lightning charging the thing. Pulling an iPhone off the charger still requires you to either wiggle it off or hold down the PowerHouse when pulling up the iPhone. So yes, even though it has a night weight, it could be even heavier to make it easier to disconnect the phone. What I do really like, and this is not shown in any product photos, is that you can lay the Apple Watch horizontally on the stand as well. Drape the short end of the watch band over the part of the stand that is slanted back. This then enables the Apple Watch's Nightstand mode. Very well done. Rated 5 out of 5 by Denpech from Very cool and quality product! This is a must have item for anyone with an Apple watch and an iPhone! First of all...let me comment about the quality of this item. When it arrived...at first I thought I was sent the wrong item. The box was way to heavy for a simple little phone dock. But I opened up the box...and it was the right product! This thing has some very nice weight to it (just over a pond to be exact) It is very solid and sturdy and obviously a well made product. I had owned something similar from another companty. 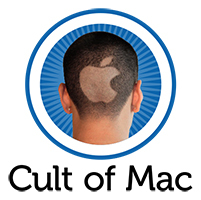 It was very lightweight, and you had to use the charging disc that came with the apple watch and the lightning cable that came with the iPhone and thread them through all these places and it was still a big mess with cords everywhere. This one is simple, sleek, and works perfectly. The best part is...only one cable, and you don't need to use your lightning cable or the charging puck for your apple watch so you can bring them to your office or wherever as a spare. As far as the functionality goes...it works exactly as you'd expect it to. Just put your phone on it and your watch on it and it will have them charged in no time! 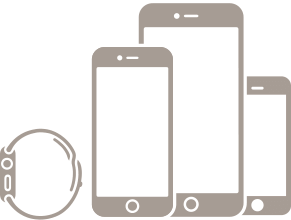 The lightning cable at the bottom is even height adjustable so it will still work even if your phone is in a case. As an added bonus...I also have an iPad Pro..and I am able to set that on the charger and that works as well! I would highly recommend this to anyone with an iPhone and a Apple watch! Rated 2 out of 5 by Coltrain from Great product, but phone charger stopped working.. I got this as a birthday present along with my apple watch on July 31st, 2018. The watch charger still works fine, however, the iPhone charger stopped working entirely. I'm kind of disappointed because it defeats the purpose of having it now. I know many chargers go bad in their lifetime, but for $100 I expected this to last me way longer than it did. Rated 4 out of 5 by btipler from Great Device! I received this device as gift for Christmas and I love it! The dock fits snugly with my iPhone 7 and my Series 3 Apple Watch. There is even an adjustment knob to ensure that the dock fits most cases. My device fits just fine with a slim line case. My only complaint is that it takes a great deal of force to get my phone onto the dock. Not sure if I am doing something wrong with the adjustment knob or not. Otherwise, the product works just fine. Rated 1 out of 5 by Levv from Was a great dock.... Was a great dock until I upgraded to an iPhone X Max. Now just a extremely large phone charger. Not compatible with Apple's latest phones.